Newly released animations reveal the changes in glaciers over 25 years, the longest time period that has been studied in this form. The GIF allows scientists to readily compare changes and trace activity, a task harder to accomplish using other methods. 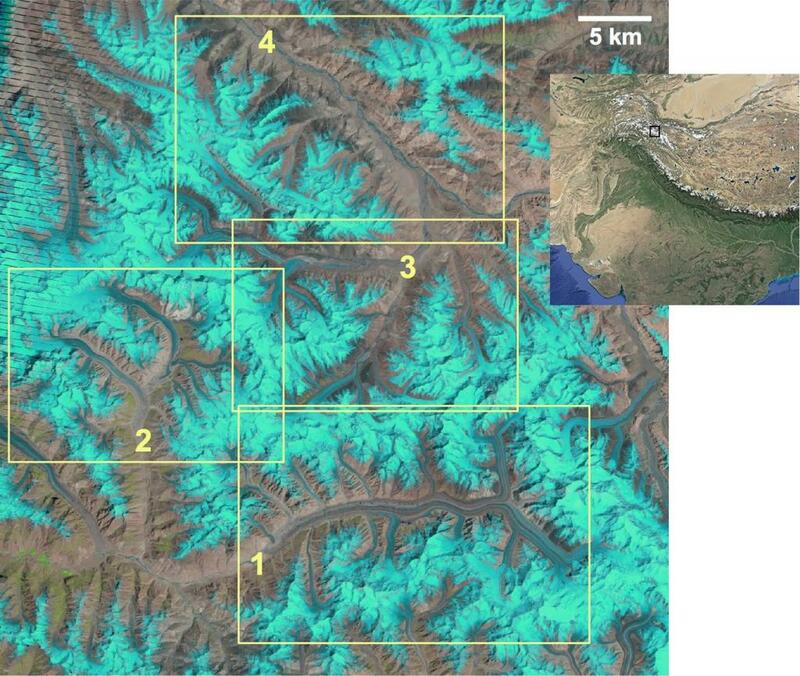 It uses images of the Karakoram mountain range in the Himalayas. Frank Paul, glaciologist at University of Zurich, has created the animations using images acquired by three different Landsat satellites, operated by the US Geological Survey (USGS) and NASA from 1990 to 2015. Compressing 25 years into one-second GIFs has sped up glacier movement 800 million times. He produced the image sequences for four regions—Baltoro, Panmah, Skamri–Sarpo Laggo and Shaksgam—in the central Karakoram between Pakistan and India. For each animated GIF, Paul used seven to 15 false-colour satellite images, with glaciers shown in light blue to cyan, clouds in white, water in dark blue, vegetation in green and bare terrain in pink to brown. He then used free software to create a looping animated GIF (showing each frame for 0.1 seconds) for each of the four Karakoram regions. “From a scientific point of view, the key motivation for this research was to understand the highly variable behaviour of the glaciers in the Karakoram. We have known about this for over 50 years, but still have a very limited scientific understanding of what is going on there. The animations are a very practical way to get a better overview and follow the changes through time,” said Paul. The study of the animations has been published in The Cryosphere, a journal by the European Geosciences Union. Notably, it shows that most of the glaciers are not retreating, unlike in other regions in the world, but are advancing (with speeds up to 100 times faster than normal at times) and flowing into each other. “These changes would be hard to observe by other methods, such as by comparing side-by-side images of a glacier taken at different times,” according to Paul. He added that the time-lapse view makes it easier for the human eye to follow glacier flow and detect changes.